Does Strengthening the VMO Help With Patella Femoral Syndrome? Ask just about anyone who has had rehab for patella femoral syndrome about what types of exercises they did and you will probably hear all about strengthening the VMO. Ask them if they got better and some will say yes, but the vast majority will tell you not really. What is the VMO, and does strengthening it really help to decrease pain associated with patella femoral syndrome? The VMO is a very small portion of one of the quadriceps muscles of the thigh. VMO stands for vastus medialis oblique - It is the muscle on the inside of your thigh just above the patella. The idea is that because this part of the muscle runs diagonally across the leg and inserts on the patella, if it is strong it will pull the patella medially and help prevent some of the problems associated with patella femoral syndrome. It sounds like a good theory, but let me explain why I believe that way too much emphasis is placed on the VMO. The VMO is only one of the four quadriceps muscles - in fact, it is really only a small part of one of the quadriceps muscles. So, for arguments sake, lets say that it provides 25% of the pull on the patella. The other three quadriceps muscles make up the other 75% of pull on the patella. The VMO attaches medially, the others attach at various points on the patella, each pulling in a slightly different direction. All in all though, the quadriceps muscles will contract together and always pull the patella towards your hips - in a direct line to the ASIS. The idea that one small part of one muscle can make enough difference to overcome the other three muscles and their pull on the patella, when all four muscles are strengthened together, just doesn't seem possible. The other thing to remember is that the patella is not the only problem with patella femoral syndrome. The femur is the other one. The femoral groove is where the patella must sit and move during knee motion. Remember those quad muscles can really only pull the patella towards the hips, with maybe a little bit of side to side motion. What happens when the femur is rotated, or is too far medial or lateral? When the track is crooked, the train gets derailed. The same thing happens to the patella. When the femur moves in different directions, it directly affects where the patella goes. When the femur rotates medially, the patella becomes tilted in the groove. When the femur adducts or moves towards the middle of the body (when your knees come together when you land) the patella is pulled laterally. The position of the femur determines where your patella goes, not the strength of the VMO or quadriceps muscles. 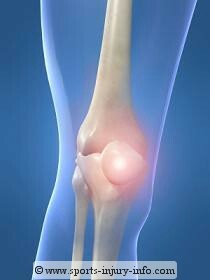 Now, think about this - there are four muscles that attach to the patella. These four muscles do not really have much choice as to where the patella goes when they contract. It goes up. There are 22 different muscles that attach to the femur and cross the hip joint. That means that you have 22 different muscles that can help to control where the femur goes. Now, what do you think is a more efficient way to spend your time strengthening - on the four muscles of the patella, which only really have one way to pull, or on the 22 muscles of the hip which can pull the femur in many different directions. I know where I will be spending my time. 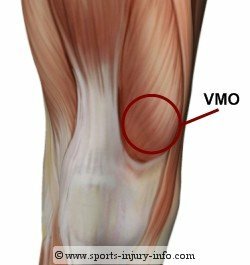 Strengthening of the VMO may help to improve quadriceps function, but it won't cure patella femoral syndrome. It just doesn't have enough "pull" on the patella to be effective. 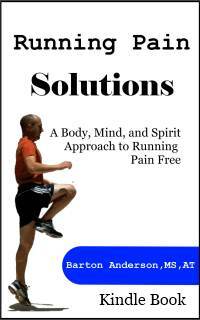 Spend your time working on improving your hip strength and controlling your femur. That is the key to beating patella femoral syndrome.